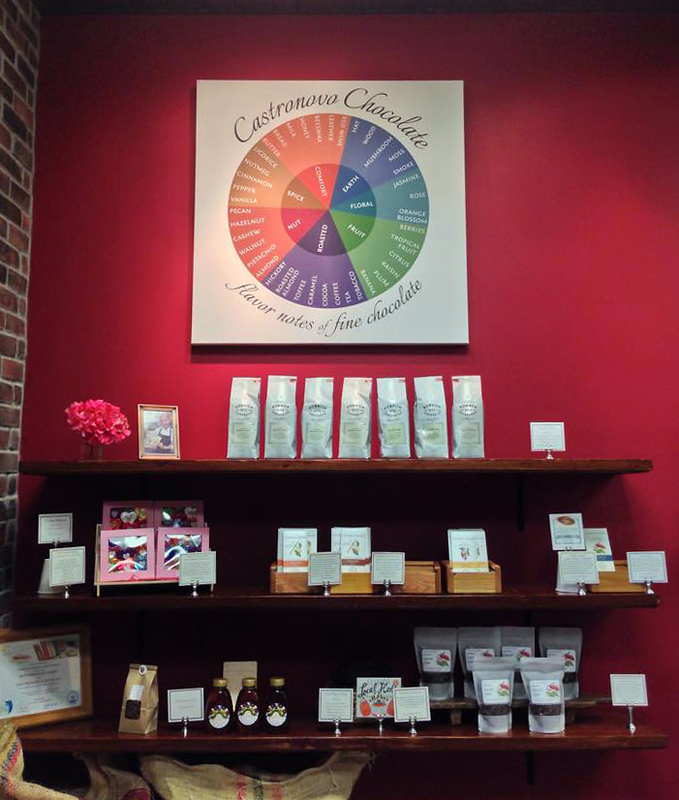 Castronovo Chocolate is a bean-to-bar craft chocolatier located in Stewart, Florida. 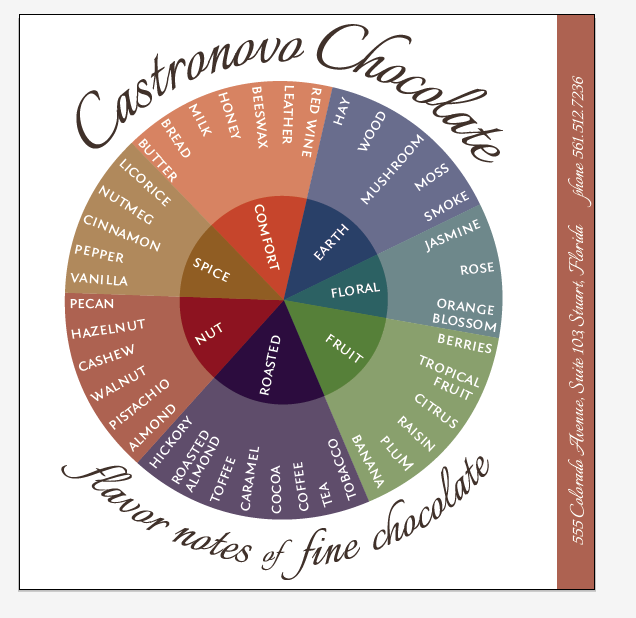 I was hired to design a custom flavor wheel for display in their Florida storefront and to be printed on flavor cards with their location and phone number. 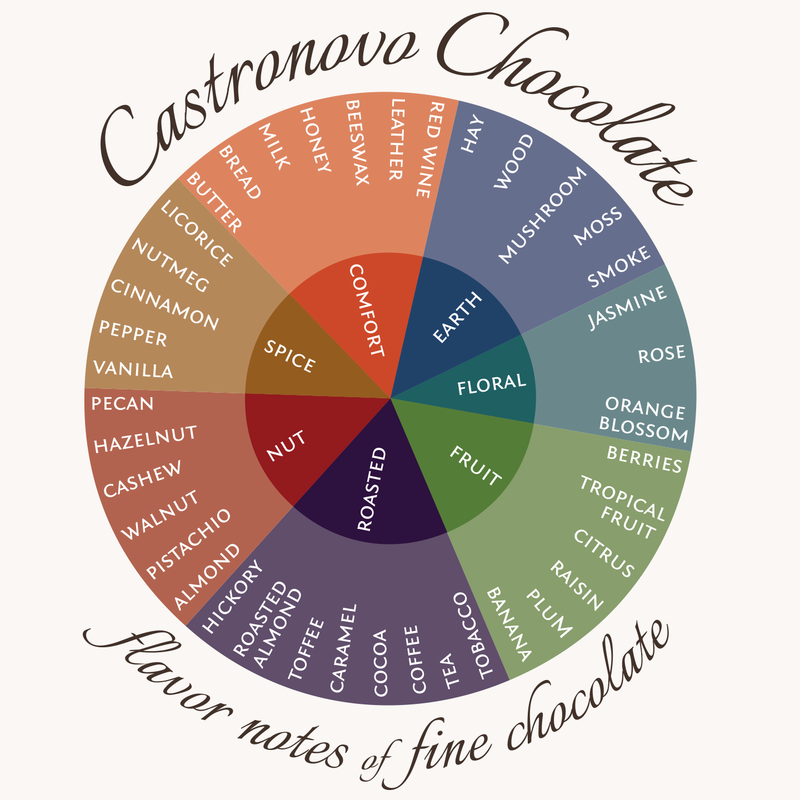 While I did not create the their website, I highly suggest you visit the Castronovo Chocolate site. They have won dozens of awards internationally – this is literally your chance to taste the best chocolate in the world.